Cats tend to give birth in the warmer months, which means more cuddly, irresistible kittens are on their way. That is not necessarily a good thing. There are millions more kittens and cats in the U.S. than there are homes for them, so some shelters kill them. Even the kittens. We need to reduce the number of homeless cats, which would reduce the number languishing or being executed in shelters. Here are four ways you can help. 1. 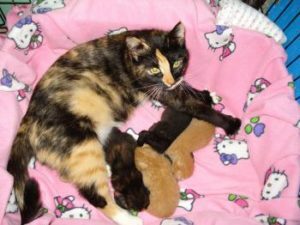 Spay or Neuter Your Cats Family pets who are not spayed can get pregnant, sometimes accidentally (if they are not indoor cats) and sometimes because their family wants to experience the “miracle of birth” or wants to sell the kittens. That litter of kittens increases the population of homeless cats. Even if the cats’ family adopts all of them out to good homes they indirectly increase the number of homeless cats by getting adopted into a home that might otherwise adopt a cat from a shelter. Spaying your female cat can also enhance her health. The ASPCA says that spaying “helps prevent uterine infections and breast cancer, which is fatal in about…90 percent of cats. Spaying your pet before her first heat offers the best protection from these diseases.” Spaying also protects your house and your sanity: “Female felines usually go into heat four to five days every three weeks during breeding season. In an effort to advertise for mates, they’ll yowl and urinate more frequently — sometimes all over the house!” The breeding season in the U.S. is approximately March through September. That is a long time to live with yowling and pee on your rugs. Neutering male cats also benefits both them and you. Neutering them before they are six months old prevents testicular cancer. It also reduces the likelihood that your cat will roam far from home in search of a mate and get lost. And like spaying, neutering protects your living space. Unneutered male cats may spray your house with particularly pungent pee to mark their territory, and may even be aggressive towards their human family. Neutered cats are much less likely to spray and more likely to shower their humans with affection. Spaying and neutering is good for your cats and for you. 2. 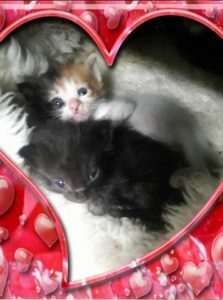 Adopt Pets, Don’t Buy Them Those adorable kittens in the pet store probably came from a kitten mill. These operations keep cats in filthy, tiny cages and force them to give birth over and over so the owners can sell their kittens. By buying from a pet store you are funneling money that props up these heartless businesses which treat cats as inventory. Another reason not to buy from pet stores is that, like the kittens your own cat has birthed, the pet store kittens displace homeless kittens and cats who live outside or in shelters, some of which kill them if they are not adopted. If you don’t want to visit a shelter you can adopt online. 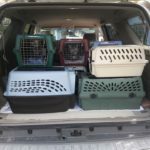 One place to start is Petfinder.com. If you want a pure bred cat, shelters and Petfinder have plenty of them. 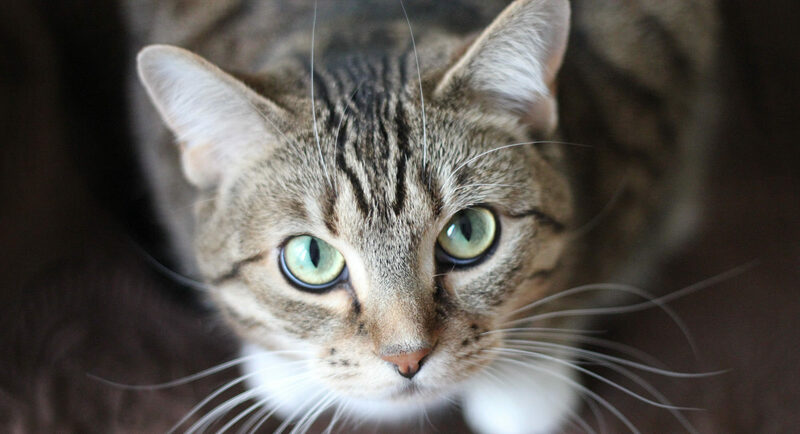 There are also breed rescue groups that have pure bred cats available for adoption, such as Purebred Cat Breed Rescue. 3. Support Programs That Spay/Neuter at Low or No Cost Some families don’t spay or neuter their cats because they can’t afford to. If you adopt from a shelter, they may spay or neuter the cat before you take her or him home. If your cat comes from some other source, look for programs that offer spay/neuter operations at low or no cost. You can find these services at the Humane Society’s handy webpage. Cat lovers who can afford it can donate to these programs to help reduce the homeless cat population. 4. Support Programs that Trap-Neuter-Return Feral Cats Many homeless cats are feral, meaning they are not tame and cannot be adopted. Feral cats can produce a whole lot of kittens who, if caught early enough and depending on their luck, will go either to a shelter or a foster or forever home. There is a solution: Trap-Neuter-Return (TNR). Cat rescuers trap feral cats, neuter them, clip off a corner of one ear to let others know that this cat has already been spayed or neutered, and then release them back into the colony of feral cats they live in. Colony caretakers bring the cats food and water and make sure they have adequate shelter from the weather. TNR has been proven to be the best method of reducing the feral cat population because it prevents colonies from reproducing.